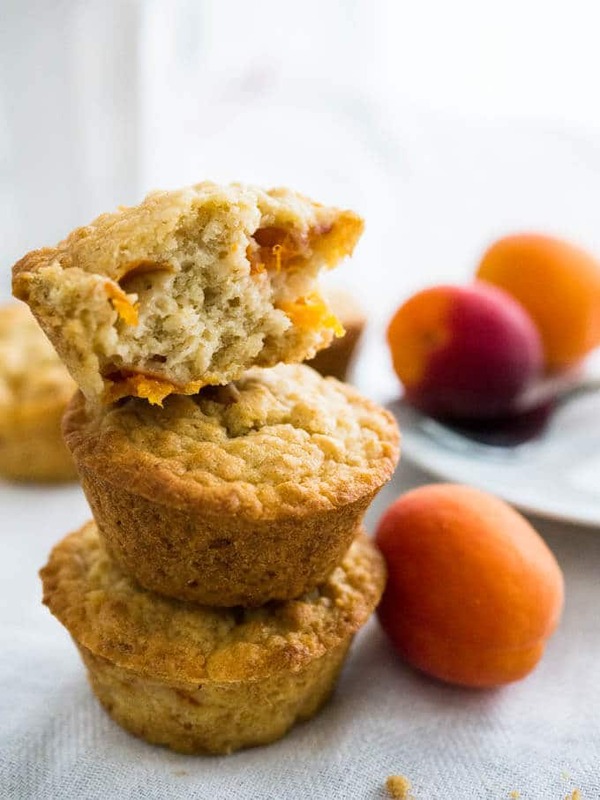 Skinny Oatmeal Apricot Muffins are perfect for breakfast-on-the-go! They’re refined sugar-free, moist, full of fresh fruit, and completely delicious. 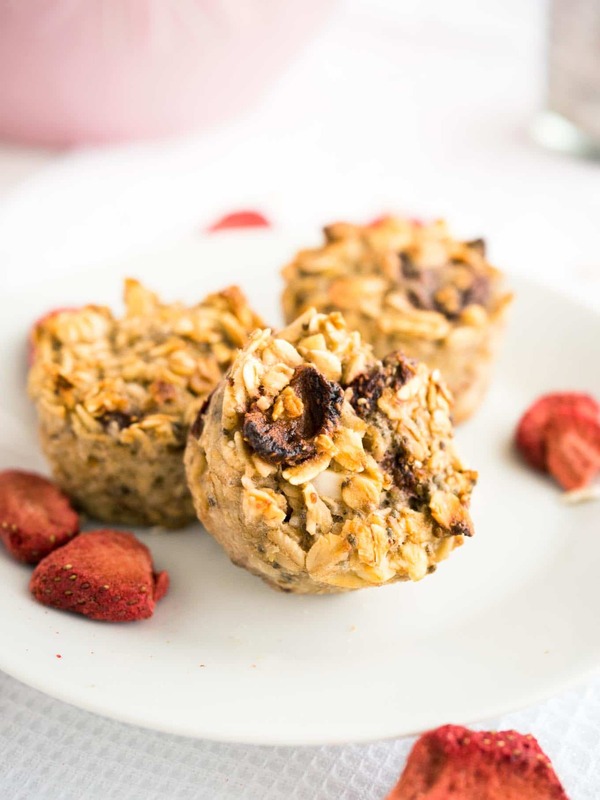 A few weeks ago, I had been really craving muffins for breakfast, but as much as I love my Maple Glazed Walnut Muffins, I wanted something more summery to make use of the tasty summer fruits you can get at the moment. The first muffins I made were these delicious Raspberry Muffins with Streusel Topping. They are buttery, full of raspberries, and topped with streusel. 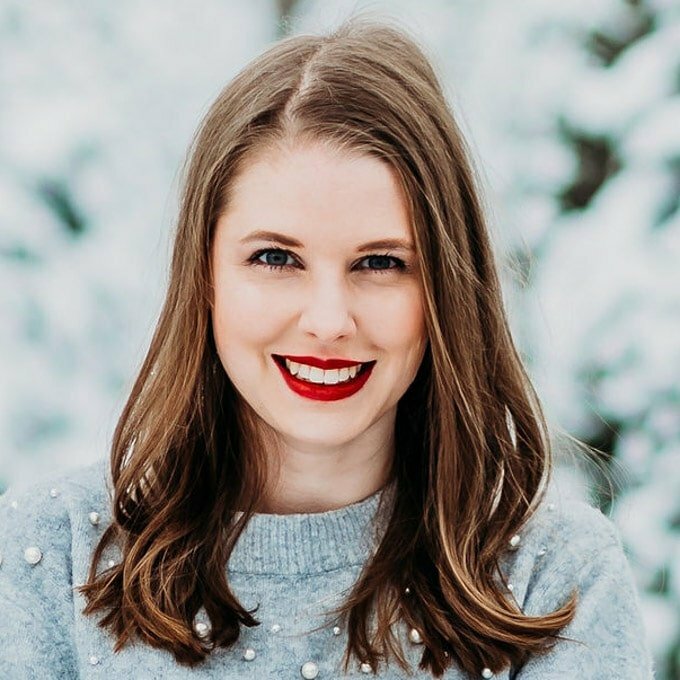 If you haven’t tried them yet, you definitely have to! 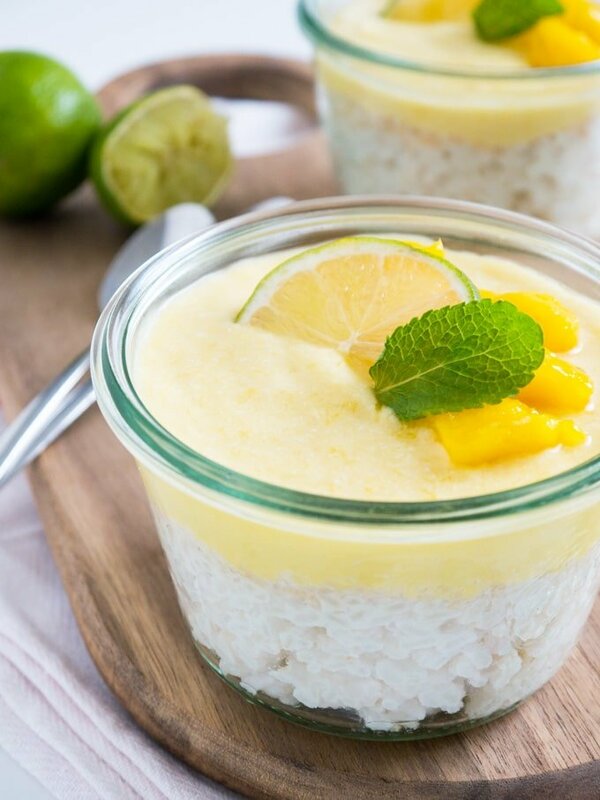 But this time, I wanted something a bit more healthy and light – something that’s a little bit more “summer diet” friendly. 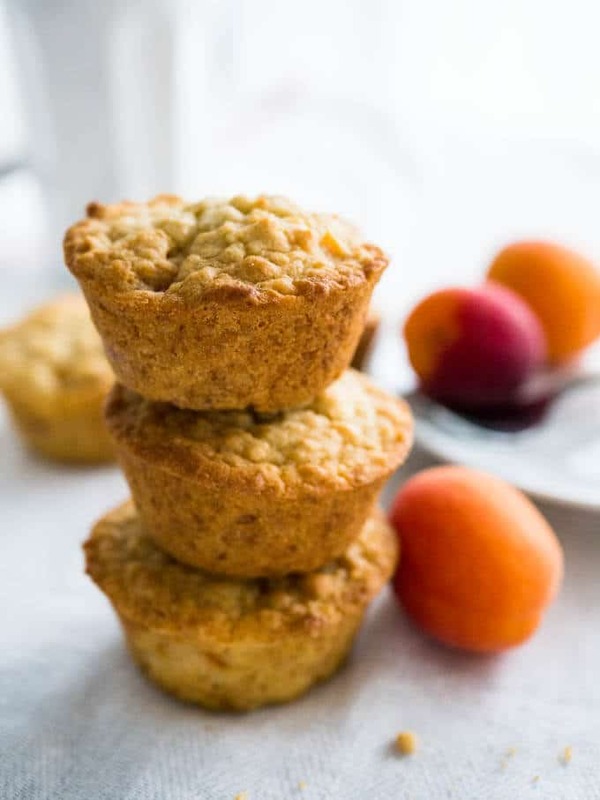 And I had some beautiful ripe apricots at home which make these Apricot Muffins so moist, sweet, and tasty! 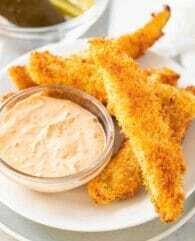 1> They’re really easy to make and super delicious <– most importantly! 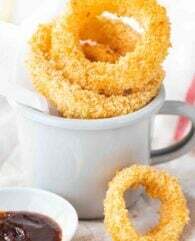 2> No refined sugar was used to make them! Instead, they’re sweetened with maple syrup and honey. 3> They’re made with oats which are high in fiber. Healthy yogurt and fresh fruit. 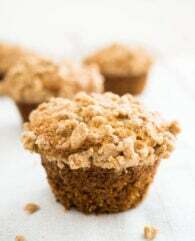 To make these muffins you need to combine all the dry ingredients in one bowl: all-purpose flour, baking powder, baking soda, salt, and rolled oats. 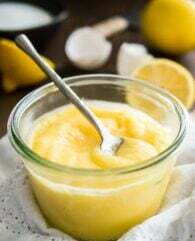 In another bowl mix together the melted butter, honey, maple syrup, yogurt, and egg. Whisk the wet ingredients until they’re smooth and combined. 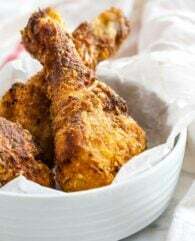 Add the dry ingredients to the wet ingredients and mix until just combined. It’s important to not mix too long! 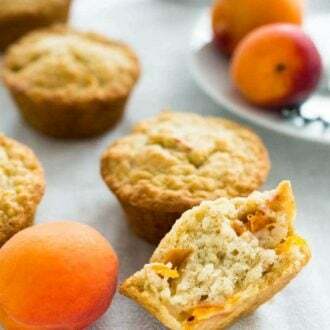 Fold in the apricots and fill your muffin pan. I start the baking process with a higher temperature to get the muffins rise a bit higher. 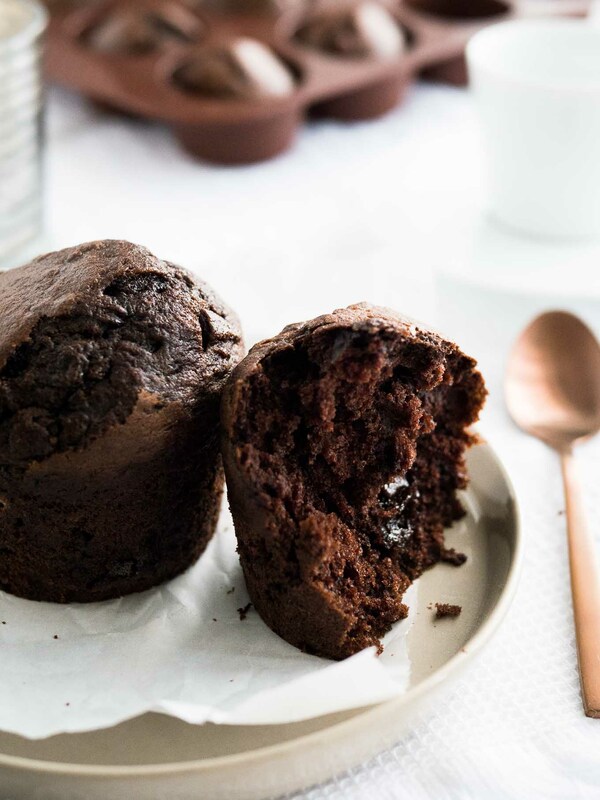 These muffins don’t get as fluffy as not-so-healthy muffins but the texture is delicious in its own way. They are not gooey but moist and fruity! When you take these delicious muffins out of the oven, let them cool down a bit and then eat them all! 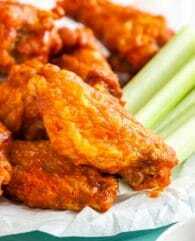 No, just kidding :-) but these are really yummy! I couldn’t stop myself and had to eat a few before taking these photos. They smelled so good and tasted not “healthy” at all! Perfect for a quick snack or breakfast-on-the-go. 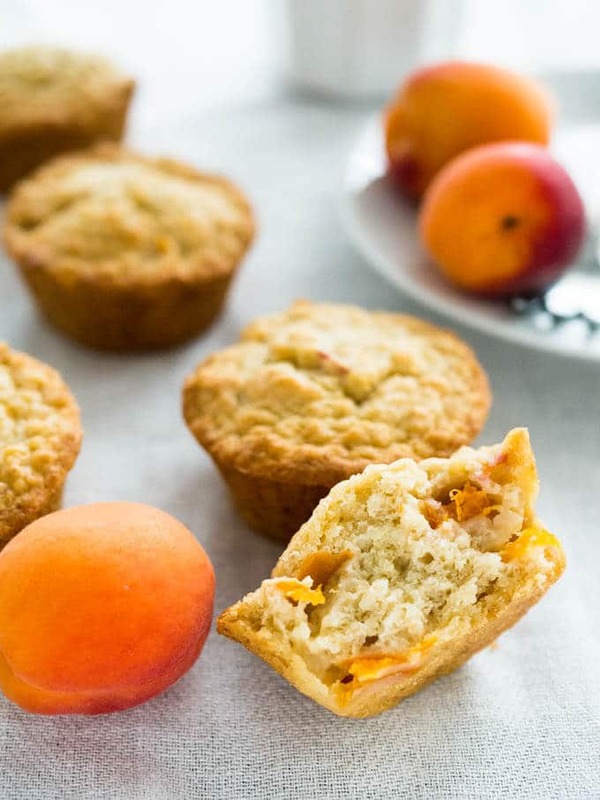 Skinny Oatmeal Apricot Muffins are perfect for breakfast-on-the-go! They're refined sugar-free, moist, full of fresh fruit, and completely delicious. Preheat your oven to 425°F (218°C). Line a 12-count muffin pan with cupcake liners or spray with nonstick spray. In the large bowl mix together butter, honey, maple syrup, yogurt, and the egg. In another bowl mix together flour, oats, baking soda, baking powder, and salt. Add the dry ingredients to the wet ingredients. Mix until just combined and all the dry ingredients are wet. Don’t overmix! 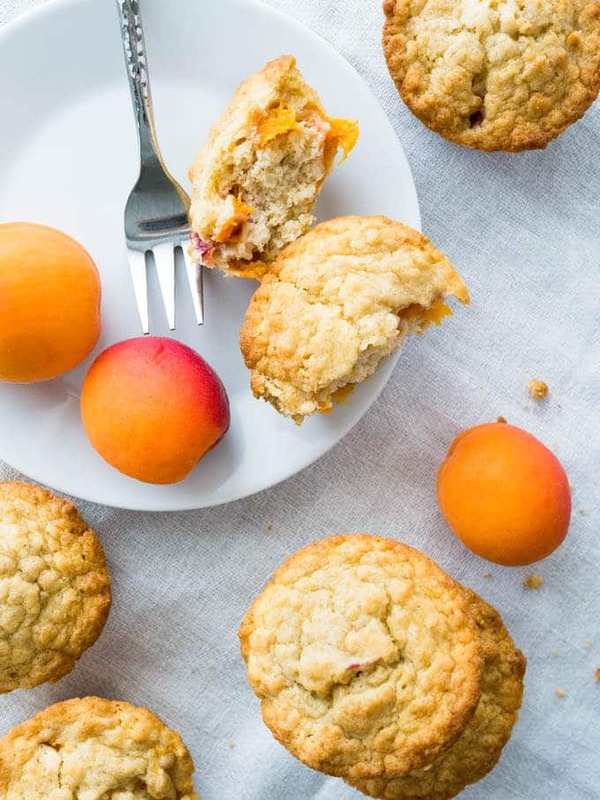 Toss the chopped apricots with the flour and fold them into the batter. 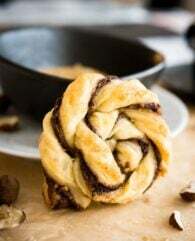 Divide the batter between the muffin cases and bake for 5 minutes at 425°F (218°C) then lower the temperature to 350°F (177°C) and bake for 15 more minutes or until a skewer comes out clean. 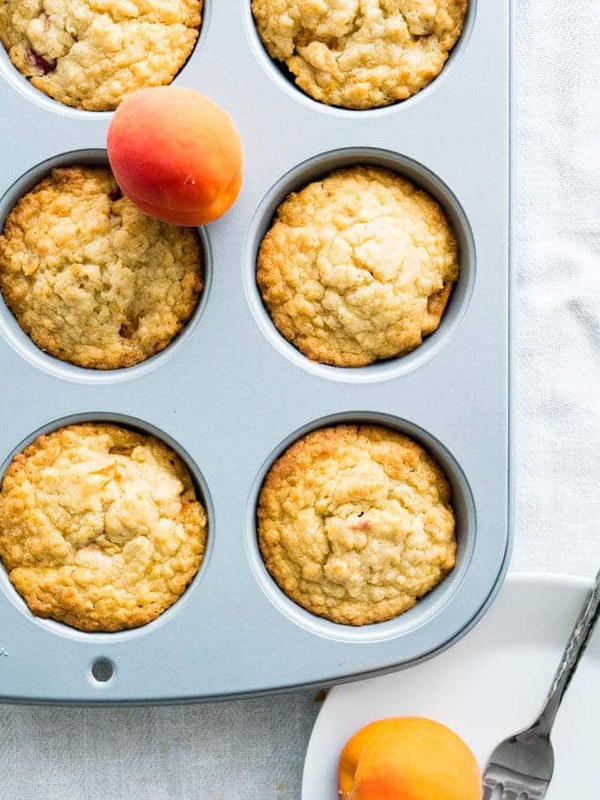 These muffins stay fresh in the fridge for 1 week. You can also freeze them for up to 3 months.